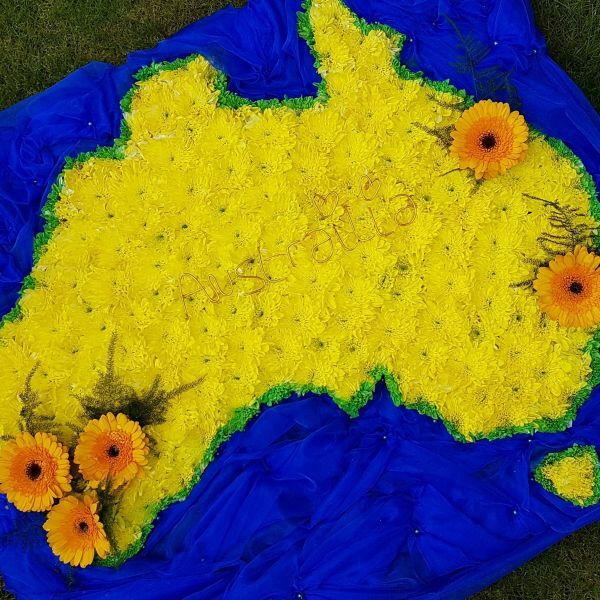 Australia map drawn in fresh flowers and surrounded by a soft flowing blue fabric sea. 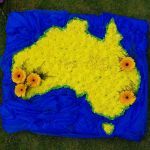 Significant destinations high lighted with a bright gerbera. Approx 2 foot / 60 cm wide.